FULDA GAP 2019 will be the FIRST WEEKEND of NOVEMBER!!! Fulda and World Cup swapped weekends for 2019. Jim “Avalanche” Rost, Team Captain, Rogue Patriots Paintball, will be the NATO General and Rusty Whaley, AKA "Archangel Mikel", Team Co-Captain, Phantom Regiment will be the Warsaw General. The 2017 Fulda broke all attendance records, with over 1500 participants and 16 tanks. The 2019 game is expected to be larger than that. 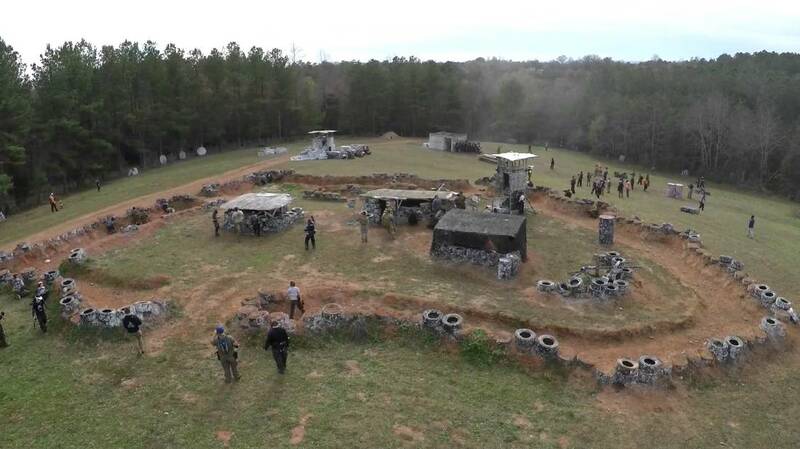 This will make the 14th running of Fulda Gap Paintball. Registration links to pre-register are found under the NATO or Warsaw unit pages and next to/under each specific unit. This software will automatically close units when they reach their limit caps. Pre-register before July 15 and get your paint at a $10 per case discount! Pre-registration saves you money, gets you on the side and unit you prefer, and helps us to plan. Pre-registration will open on June 1, 2019. PLEASE PRE-REGISTER!! Tiered pricing goes into effect after that but spaces on units will also start to run out. DON'T WAIT UNTIL THE LAST MINUTE!If you haven't experienced Fulda Gap in the past - DO NOT MISS 2019's game. Our field is in the foothills of North Carolina - just outside of Hickory. We PRIDE ourselves on making this game ABOUT THE PLAYER. We love our teams, and sure - celebrity appearances are great - but what we like most is people coming together to share in an incredible weekend of the sport. Parents can feel COMFORTABLE introducing their teens to a big scenario event at our game. We invite vendors who SUPPORT THE PLAYER. We invite up and coming vendors with new product to introduce to THE PLAYER. We will always be a primitive field, with few bells and whistles, to keep the costs TO THE PLAYER reasonable, and affordable. We want YOU to have a safe, fun, as-drama-free weekend as possible - which includes GOOD AIR FILLS (we are once again contracting our air to Quickshot Paintball), GREAT PAINT TO SHOOT, REFS WHO DO THEIR JOB, and of course - camaraderie among all who attend. Fulda Gap has been widely published and ranked in the TOP 8 MUST ATTEND EVENTS in in paintball by a number of international publications! 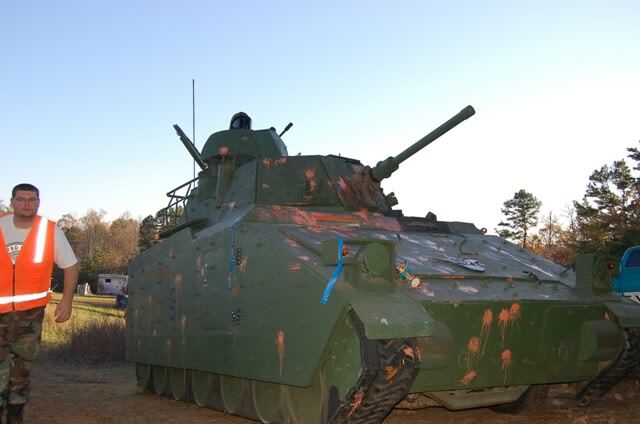 Get on YouTube and search Fulda Gap videos - our tank battles are EPIC. Come battle alongside or against them on the field! We welcome teams to come and use this exercise as a way to prove and refine their skills! We have teams that have been attending this game for the past 13 years we've held it! Both food and product vendors will be on site, and primitive camping areas will be available (sorry, no RV hookups). Camping is FREE but limited so plan to get to the field EARLY. Our field is approximately 20 minutes away from Hickory, North Carolina which has numerous hotels - should you so choose not to camp. Keep checking back as we will continue to make updates to the registration information, vendors, rules, commanders & units, etc., as we close in on the event. DO NOT FORGET TO FRIEND US ON FACEBOOK (see links below). PRE-REGISTRATION will OPEN June 1st! Don't forget Fulda Gap's favorite charity event will be running during the course of game weekend. Fulda Gap is one of the single largest contributor's to Make A Wish in North Carolina.